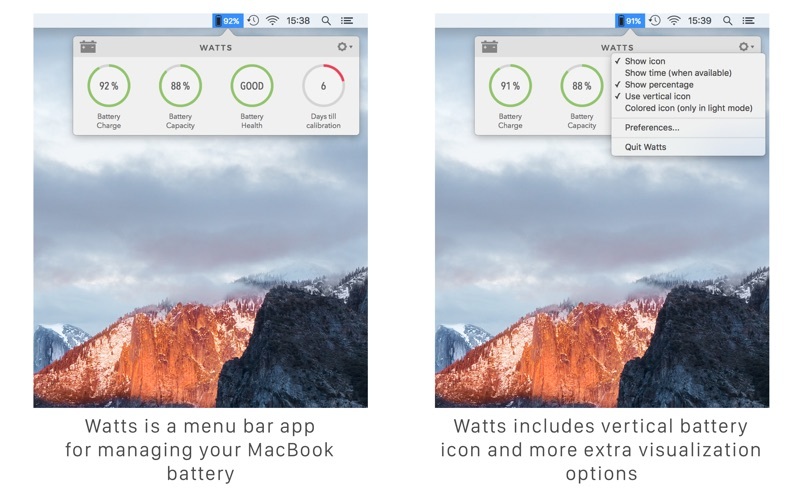 Watts is a MacBook® battery management and calibration assistant tool. 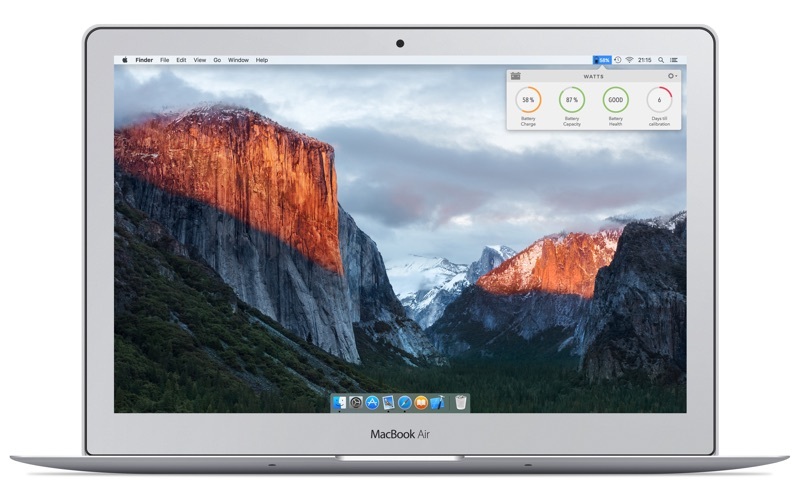 It's a menu bar app that, apart from the usual battery information (power source used, current battery charge and remaining time), provides advanced data to obtain the maximum performance of your MacBook® battery. - Your battery needs to be calibrated from time to time to keep the onscreen battery time and percent display accurate, and to keep the battery operating at maximum efficiency. 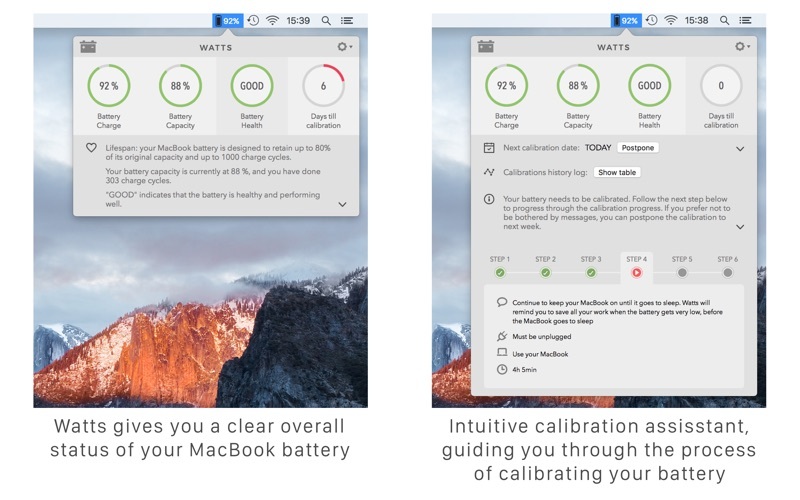 Watts features an intuitive calibration assistant that will guide you through the process of calibrating your battery. - The calibration scheduling can be adjusted for your needs, and even postponed if you want. Calibration data is automatically logged, so you can see the history of your battery status. 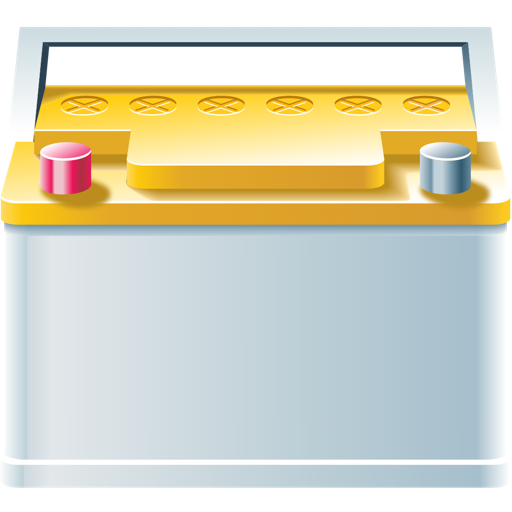 - Watts looks similar to the Mac OS® battery icon menu, and provides some extra options like vertical battery icon and more. 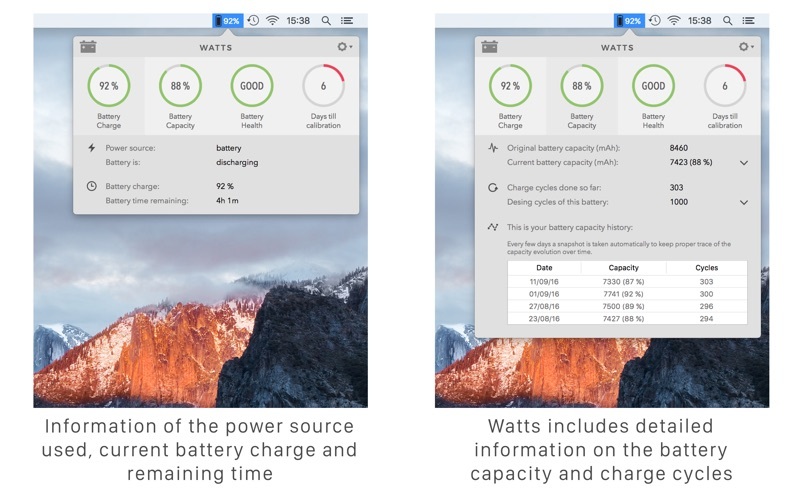 - Watts monitors you battery status constantly and provides you with information and notifications to help you using your MacBook® battery properly. 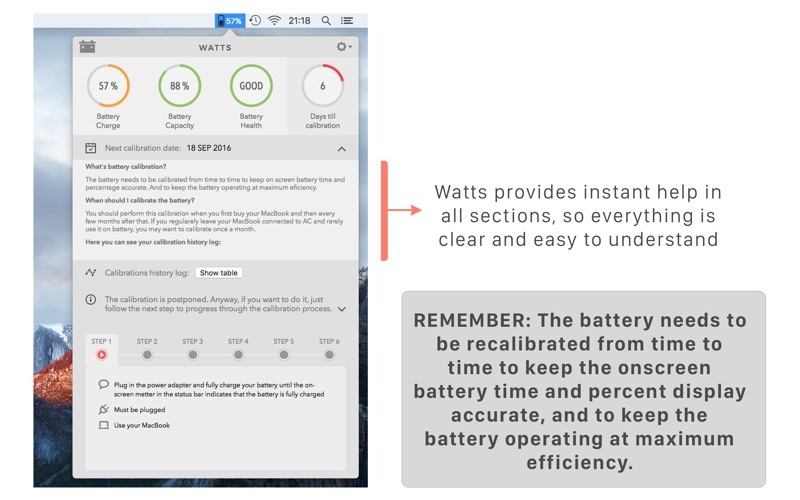 Watts provides detailed information on the battery capacity, charge cycles and health. It also stores your battery data regularly, so you can check its evolution during time. Minor version fixing two problems. The algorithm was not behaving when we were switching on and off the computer in the last steps. Not anymore. Also when we setting it to sleep and awake in the very last step without plugging it was jumping to the first step. That should not happen anymore. We hope we will have new things next time! Add support for Growl 1.3.3.